As CEO of Quantum Networks, Ari Zoldan ’99SB travels the globe looking for the next big thing in high-tech. He also holds press credentials for the United Nations, the US Senate and House of Representatives, contributes to a Washington, D.C. newswire called Talk Radio News Service, and to national news outlets. And to think, for several months in 2000 and 2001, he was living on his mother’s couch going on job interview after interview, waiting for a position in finance that never materialized. Along with working diligently to complete his degree in finance at Syms, Zoldan worked part-time at Bankers Trust and envisioned parlaying that job into a full-time position upon graduation. However, Deutsche Bank bought the company and disbanded his department, dissolving his plan. Zoldan searched for a job in the finance industry after graduation. However, despite his degree, impressive resume and significant work experience, there were no bites. “The Internet bubble had burst and, coupled with September 11th, unemployment rates were high,” he recalled. Zoldan soon set up a number of small VoIP companies across the world, particularly in Asia and Africa. In 2001, he officially established Launch 3 Communications; in 2004, he and his brother, David, founded Launch 3 Ventures, which bought distressed assets from telecommunications companies and sold the parts overseas. He sold both companies to his two brothers — Launch 3 Communications to Dani ’99YUHS in 2004 and Launch 3 Ventures to David in 2007 — and focused on starting a new company, Quantum Networks, a technology incubator focused on emerging and next generation technology. Zoldan’s partner at Quantum is COO Eytan Wiener ’05YC, whom he met several years ago. Weiner manages day-to-day operations while Zoldan strategizes and goes out in the field to aggressively scout and fetch new opportunities. War-torn and third world countries like Myanmar, Sudan and Sierra Leone are most ripe with opportunities to cultivate advanced technological systems, Zoldan has found. If he’s working on a government-sponsored project, he is offered government protection, but wherever he is, he usually doesn’t tell his mother until after he’s arrived. “By then, it’s too late for her to do anything about it,” he said with a laugh. Quantum is a success story, but also a unique place to work: Zoldan and his management team carefully nurture an atmosphere that encourages intuitive decision-making and a hands-off approach to management. Most of the more than 25 employees are in their early twenties; among them a number of YU graduates. Weiner said he and Zoldan know that someone who could handle YU’s intense dual curriculum is likely to be a capable and proficient employee. 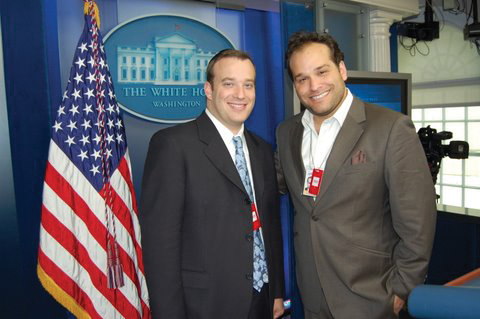 Zoldan’s next steps include branching into media, a natural progression in his view, since he enjoys writing and often visits hotbeds of political and military strife. His work has already been published in various outlets and on his own Web site, www.arizoldan.com. He has also appeared on Fox News Channel, Fox Business, NBC and CNN Money, among other national broadcast outlets. He is also a popular motivational speaker and has a book, Startup Karma, coming out next year. The book is a leadership and management manual that focuses on infusing the laws of karma into one’s business. Ari Zoldan is not the lone workhorse in the family; his brother Dani currently holds several demanding jobs of his own with numerous ventures on the side. A self-described “nontraditional, off-the-beaten track” kind of guy, Dani credits his ambition and drive to succeed for his various successes. He views those traits as indicative of the Zoldan brothers. Admittedly not a very devoted high school student, Dani Zoldan worked for an architect throughout high school and for a year afterward, before deciding he didn’t want to pursue that line of work. While he was in MTA his mother and stepfather moved to the NYU area and, since he already hanging out on that campus, he figured he might as well officially attend. “I called NYU and told the woman who answered the phone that I have terrible high school grades and SAT scores — how can I get into NYU?” Dani recalled. She directed him to New York University’s School of Continuing and Professional Studies, where, she said, high school grades didn’t matter as much as intelligence and drive. Zoldan was admitted and began in the fall semester. Thinking he would go into the entertainment business, Dani majored in media studies and took classes in film production and history. After two years, he left school to chart his own course. “At this time, Ari was working on Launch 3 Communications and wanted to get more into the equipment side of the telecom business, so he brought me in to manage the communications side and brought David to manage Launch 3 Ventures with him,” said Dani, who was also working on developing an online music company. “We all worked in the same office, we were all in our twenties, and we all had different styles of working. Basically, we wanted to kill each other,” he recalled. After eight months, he struck out on his own again and founded Titan International, a company he describes as similar to the wholesale minute business of Launch 3 but, where Launch 3 arbitrages and brokers out long-distance minutes, Titan actually goes overseas and builds local phone networks. In 2004, when Ari decided to sell Launch 3, Dani merged it with Titan, which currently has 12 full-time employees. Not content to rest on his laurels, Dani spotted a prestigious but rundown comedy club for sale on the Upper West Side, near the home he shares with his wife and daughter, and quickly called an old friend, Gabriel Waldman ’08W, who is an amateur stand-up comic. “Let’s buy the club and renovate it,” Zoldan suggested to him. The two soon became proud co-owners of Stand Up New York, which draws high-profile comedians such as Chris Rock and Susie Essman. Zoldan was later approached by Ari Pelcovitz ’02YC (son of Dr. David Pelcovitz, the Gwendolyn and Joseph Straus Chair in Jewish Education and Psychology at the Azrieli Graduate School of Jewish Education and Administration), who wanted to create a daily deal site similar to Groupon, but geared toward the bar scene in New York. 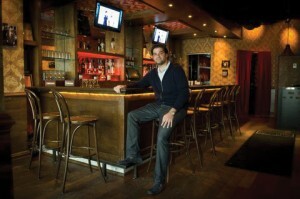 Pelcovitz convinced Zoldan to become an investor in “Urban Boozer,” and the site recently launched to great acclaim. The Zoldan brothers are an inspiration to others who feel compelled to take the road less travelled but who are, perhaps, afraid to take that first step. To read about other inspirational YU graduates, visit the alumni Web site at www.yu.edu/alumni/profiles and check out the alumni profiles; or, to share your own achievements, submit a Class Note at www.yu.edu/alumni/notes.